In 3 years, fully locally assembled Dassault Falcon 2000 business jets will roll off an Indo-French 150,000 square foot production line near Nagpur’s airport. 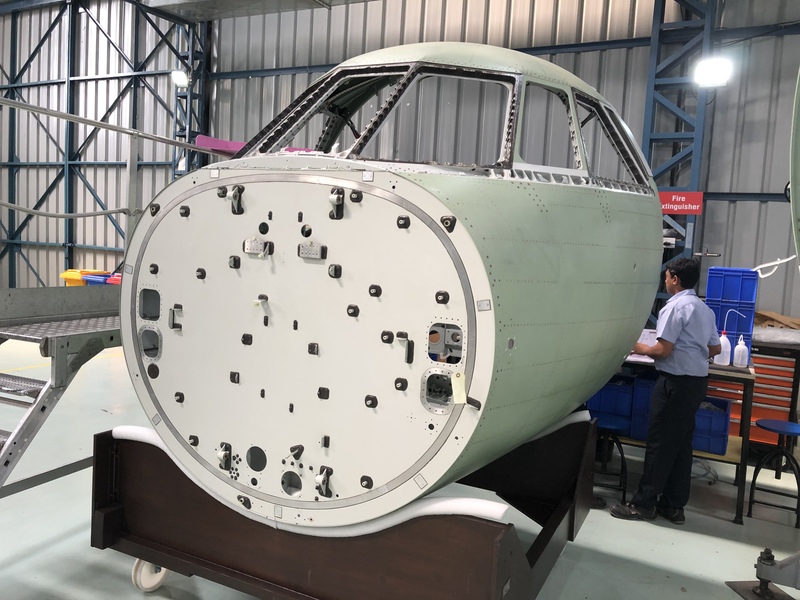 With giant hangars currently under construction at Dassault Reliance Aerospace Ltd (DRAL) and the first Indian-built cockpit section of a Falcon 2000 — Dassault’s bestselling business jet — to be delivered tomorrow to the French partner, work is apace to scale up towards assembling the full aircraft in India by 2022. The work continues nearly 1,000 km from India’s national capital where this facility is not seen amicably in one of India’s most vitiated political atmospheres. If 2019’s election season in India ever had a list of the most controversial corporate sites, this one would effortlessly be top of the pack. It is here that France’s Dassault and India’s Reliance Anil Dhirubai Ambani Group (ADAG) have forged a corporate alliance to build aircraft parts. A facility that has, over the months, become the highlight of a continuing political war waged by India’s opposition Congress Party on the Narendra Modi government. For the first time since its inception in 2017 — and certainly since the political scandal over India’s Rafale jet deal broke — Livefist was among a small group of reporters given access today to the facility. For a full year now, this facility has functioned physically far from public view, but relentlessly in allegations levelled. Its very existence has been the core of one of the most ferocious political punch-up in recent memory. 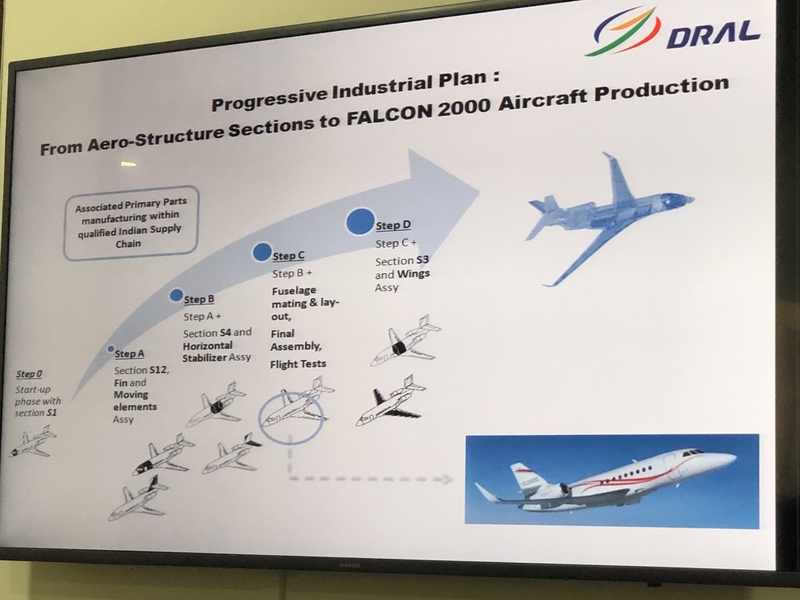 Whether Dassault will completely shift Falcon 2000 assembly work to India remains unclear — company executives said that union and labour issues continue to be politically sensitive in France at this time, but that a decision would be taken in a year. ”This Indian JV facility makes big sense for Dassault because of the low cost of manufacture. We have a strategy here in India and feel it’s a better place to do what we do than China,” says Dusaaugey. Asked about the delicate financials of their JV partner Reliance ADAG, Dassault executives said they were confident about the success of DRAL — that the two sides had firm investment commitments and a corporate path — but wouldn’t comment on reported specifics on their partner. The financial health of Reliance ADAG has been a cornerstone for political and other questions over Dassault’s choice of partner, something that Anil Ambani’s team has fought to counter. DRAL began with the stated vision of being a facility that would build parts for both business jets and fighter aircraft, though it will be confined to the former for the foreseeable future. 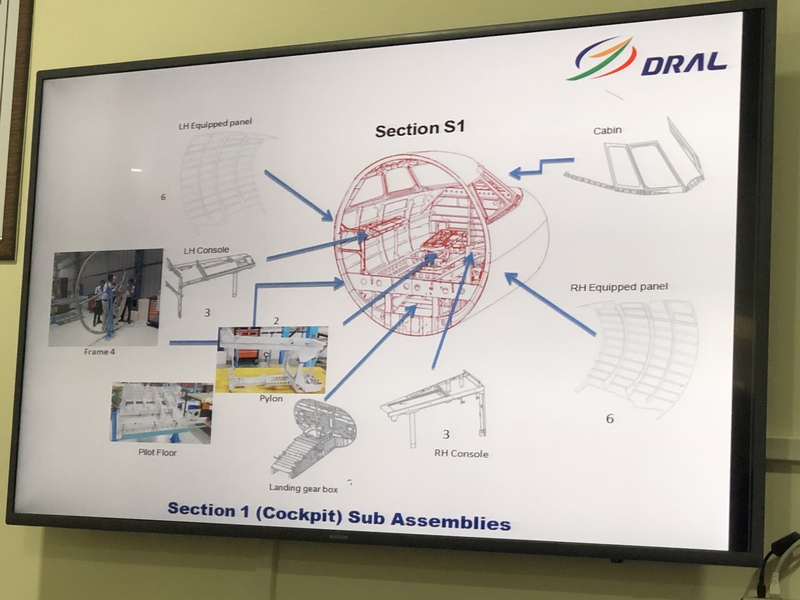 Building parts for the Rafale would be a consideration with orders beyond the current 36, says Dussaugey, with this 31 acre facility to be where Rafales will be manufactured in the event that Dassault Aviation manages to win the Indian Air Force’s 110 Made in India fighter contest. 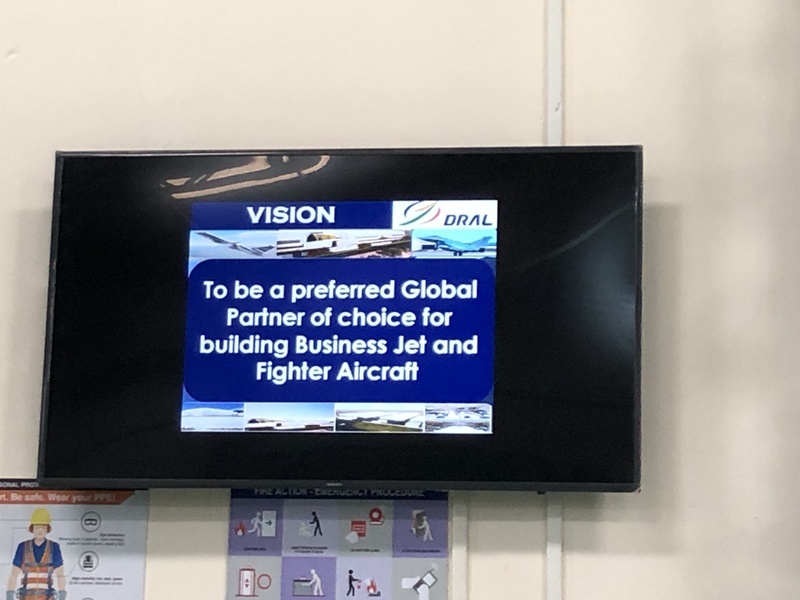 Under the stewardship of CEO Sampathkumar S.T., DRAL is currently singularly focused on the Falcon 2000 — work that will allow Dassault to fulfil part of the large offsets obligations it has on the €7.8 billion 2016 Rafale deal. By September, when the first four of 36 Rafales are delivered to the IAF, Dassault will have to present a clear path on how it plans to fulfil its offsets obligations. Dassault and Reliance announced their joint venture and the creation of DRAL on 3 October 2016, barely two weeks after India signed its deal for 36 Rafale jets (More about the Dassault-Reliance history here). A joint statement by the two companies declared that new joint venture would be be a ‘key player in the execution of offset obligations, as a part of the 36 Rafale fighter jets purchase’. Livefist first reported in detail about the offsets plan in the Rafale deal. Just over a year later, in October 2017, the DRAL facility at Nagpur was inaugurated, with both Dassault CEO Eric Trappier and Reliance ADAG’s Anil Ambani along with his family in attendance. No one at the site could have known that just a few weeks later, the facility would become the symbolic centrepiece of an aggressive political campaign launched by the opposition Congress Party under the stewardship of its then de-facto (and later designated) leader Rahul Gandhi. With both partners, Dassault and Reliance drawn into a very public and no-holds-barred political slug-fest, leadership at both companies sought to dispel allegations of government cronyism, with Dassault’s CEO indicating in an interview two months ago that the first Falcon business jet parts (as part of offsets in the Rafale deal) were under delivery.